The City Hall is one of the centres of activity for Copenhageners including the Lur Blowers and a look at Tivoli Gardens (from the outside). Magstræde a small cobble-stoned street of old Copenhagen. 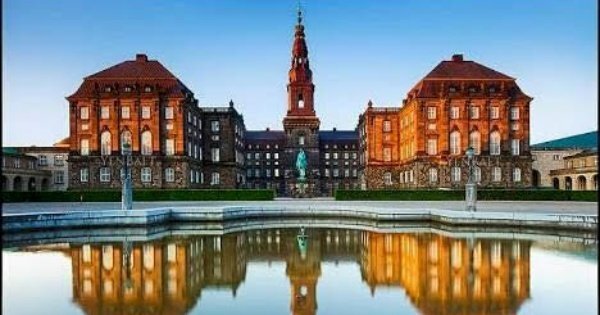 Christiansborg Castle The Government of Denmark including Bishop Absalon, the founding father of Copenhagen. Strøget the oldest shopping street in the world and the heart of Copenhagen. Kongens Nytorv, one of the most spectacular squares, with excellent examples of 17th Century Architecture, including Magasin Du Nord, the Old Royal Theatre and historical Hotel d’Angleterre. Nyhavn the wonderful colourful Harbour Front, where Copenhageners and Visitors alike gather to sip cold Beer and enjoy the sea air. Amalienborg Palace the home of the oldest Royal Family in the world also including a view of the guards changing. The Marble Church with its impressive dome, one of the features of Frederiksstaden, and examples of Rococo architecture. The Little Mermaid one of Hans Christian Andersens most popular fairy tales.